The benefits of soy are well-established, and new research has identified the nutritional component largely responsible: lunasin, a naturally occurring soy peptide. 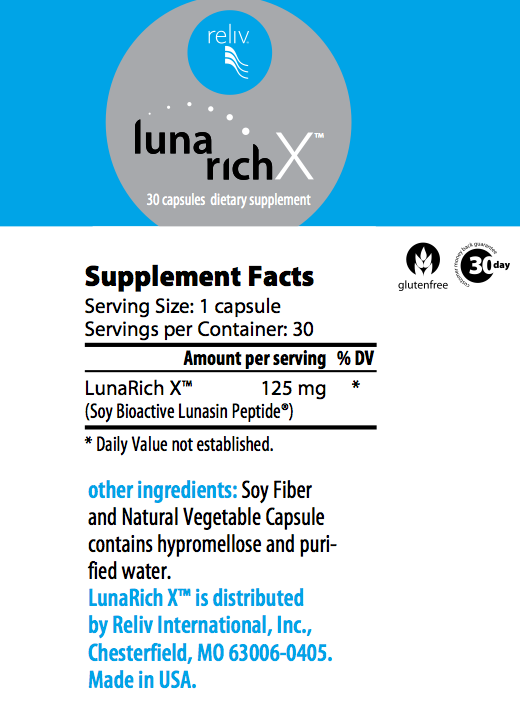 LunaRich X™ is the most pure, concentrated form of lunasin ever produced — more than 200 times the potency of high quality soy protein. In addition to its own health benefits — from cholesterol reduction to overall cellular health — LunaRich X™ powers up the benefits you receive from other Reliv products.